"In things that can't matter. In shards of pottery that are part of a made up fairy tale. Myths are metaphors." I love the title and cover of this book, and your teaser sure made me curious about it. I'm only a few chapters in, but it's really good so far! Agree with Sandy regarding the title. 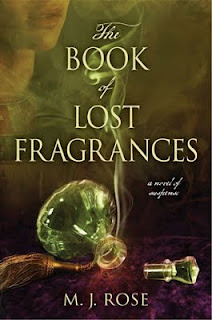 Wonder if the fragrance has any part to play in the book. Great teaser! wow that's so pessimistic, but this one sounds interesting. Great teaser! I keep seeing this one. Here is mine"
I love this teaser...its so poetic. Thanks for sharing.